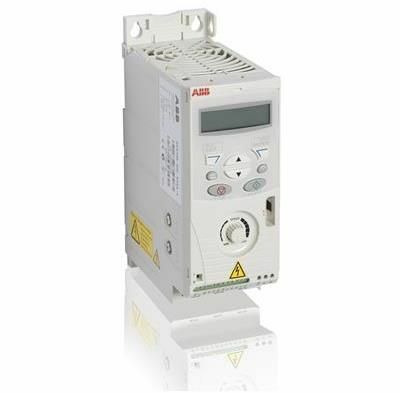 ABB ACS150 Micro drives are available for single phase(0.37 to 2.2 Kw) and three phase (0.37 to 4 Kw) . The ACS150 drive has integrated LCD control panel and potentiometer, built in EMC filters ,brake choppers and PID control. It also features an optional drive configuration tools that makes the configuration of unpowered drives hassle-free. The drive is designed with a scalar control and a built-in EMC filter for the 2nd environment.